The U.S. 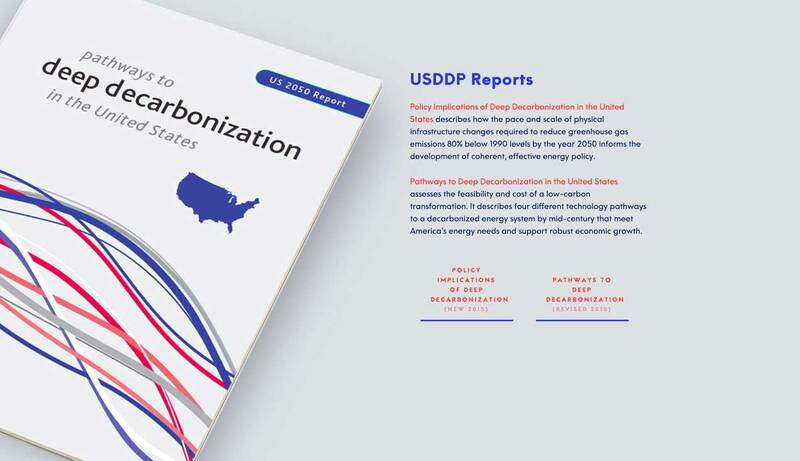 Deep Decarbonization Pathways Project (USDDPP) investigates the concrete requirements of a low-carbon transition in the United States – technology pathways, changes in physical infrastructure, and what policies are actually needed to drive an energy system transformation. HabitatSeven produced digital assets in conjunction with the launch of their groundbreaking reports. 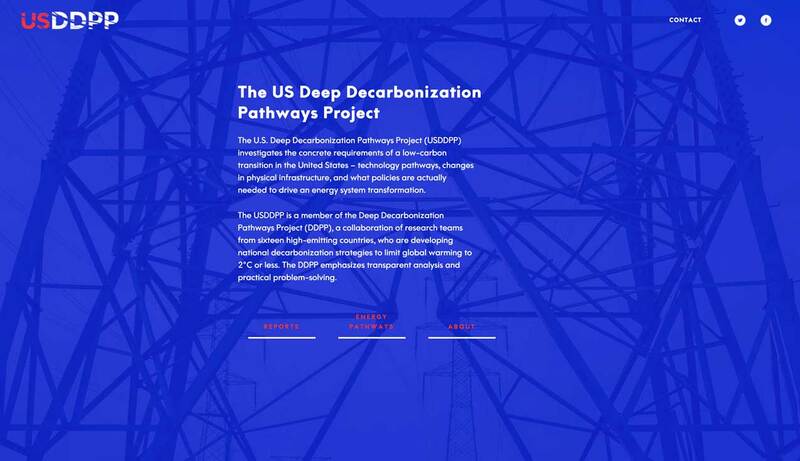 The USDDPP is a member of the Deep Decarbonization Pathways Project (DDPP), a collaboration of research teams from sixteen high-emitting countries, who are developing national decarbonization strategies to limit global warming to 2°C or less. 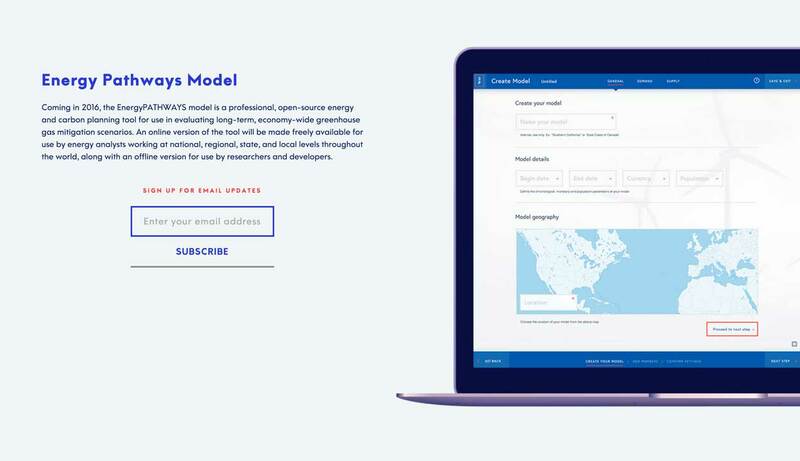 The USDDPP required a simple website to launch two groundbreaking reports on energy pathways towards bringing the US forward into a low to no carbon economy. The site needed to be responsive for all screen sizes, lightweight and scalable. The site that was developed provided the USDDPP with an easy to use website that functioned across devices including smartphones, tablets and desktop devices. The site is extremely light weight in terms of size so that it could easily withstand large traffic volumes during its launch.